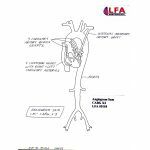 This is one of several anatomically correct, high-quality three-dimensional and/or dissected anatomical models currently listed by Lake Forest Anatomicals for Cardiac Catheterization, Angiography and Interventional Radiology. 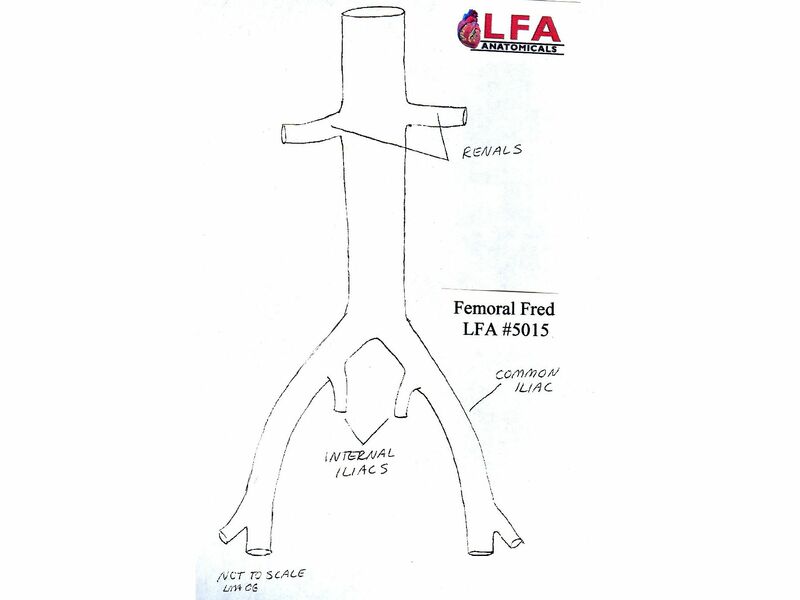 "FEMORAL FRED " is the realistic LOWER cardiovascular anatomy of a healthy 5 ft 8 in adult male of 180 lb. The dimensions were computed after cadaver studies of over 100 specimens and angiographic data of over 1,000 patients. "FEMORAL FRED" is designed to provide a level of frustration and challenges similar to those encountered in the cardiac catheterization laboratory, such as difficulty in turning the catheter, or maintaining position. After multiple attempts, "FEMORAL FRED" is intended to improve invasive techniques including pacemaker leads, EP catheters, transeptal guide wires, and valvuloplasty balloon catheters. It also provides an unparalleled visual understanding and feeling for angiographic positioning for most interventional procedures. "FEMORAL FRED" cannot replace the real experience but may improve final outcomes by allowing novice practitioners a non-threatening practice venue, and by challenging experienced operator skills and their spatial understanding. Normal use implies that lumenal catheters are inserted using wires with stiff guiding lumen catheters. Swan and femoral pacers can be introduced as normally prescribed. Made of a durable, clear plastic (cryoacrylic) material accurately designed to represent the major cardiovascular structures as described above. 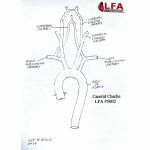 Our unique in-stock Catheterization and Laboratory Models available in clear Plastic include the famous "Angiogram Sam Family" including "Angiogram Sam", LFA #5000, "Angiogram Sam Plus", LFA #5001, "Carotid Charlie", LFA #5002", Pacemaker Pete", LFA #5005P, "Venous Sam", LFA #5010, Femoral Fred", LFA #5015 and the unique bilateral Venous-Arterial "Super Sam", LFA #5020. Also, in Glass, the unique "Angiogram Sam- Pediatric", LFA #5017G. 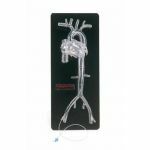 We also have available high quality models of the Heart, Lung, Human Artery Model, Complete Hypertension Set System, and other models.